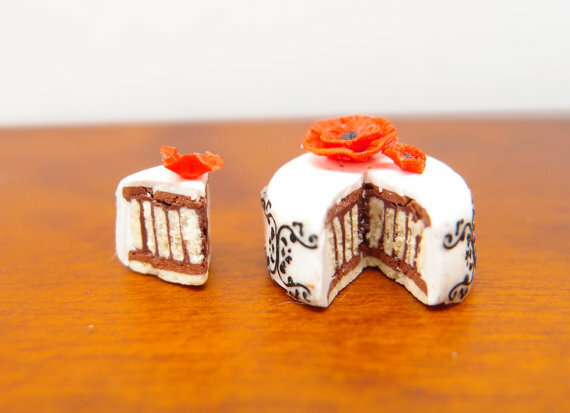 A sponge cake sandwiched with layers of chocolate cream topped with white icing and decorated with lace and flowers. 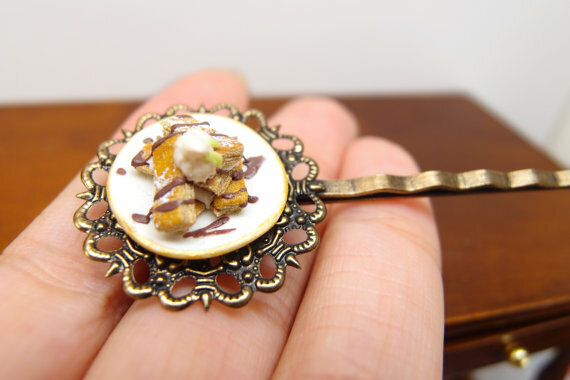 A metal alloy hair clip with danish pastry stack garnished with chocolate sauce, cream, and mint leaves. 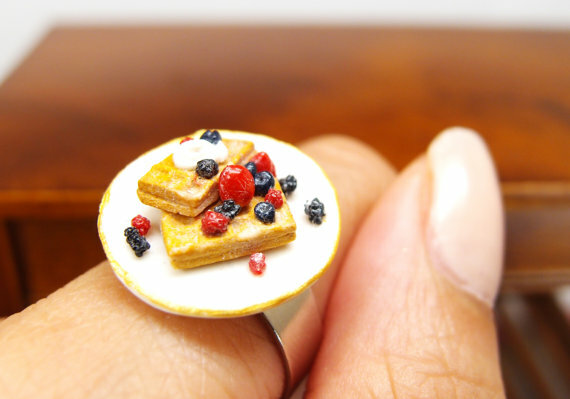 A ring with berry and cream waffles on a plate. 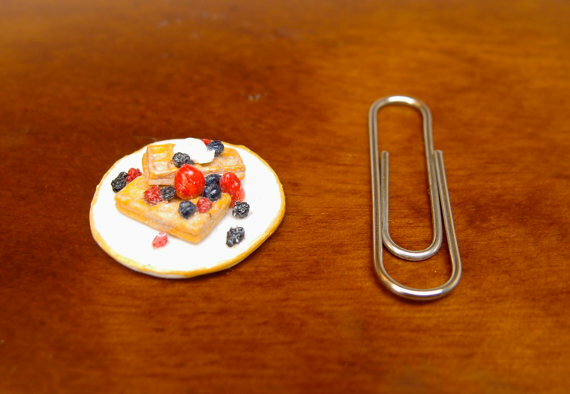 A hair clip bobby pin with an egg, asparagus and bacon toast. 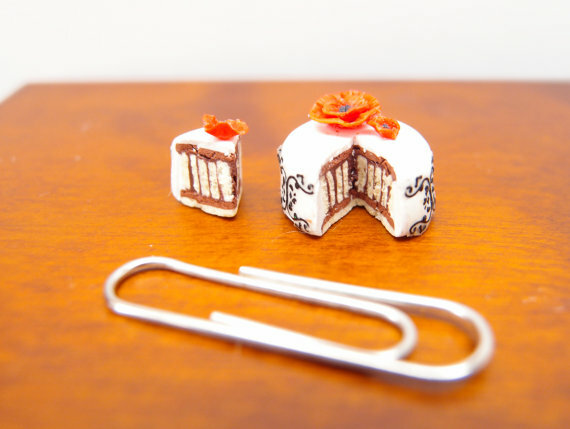 Another hairpin with 3 puff pastries, strawberry, and cream. 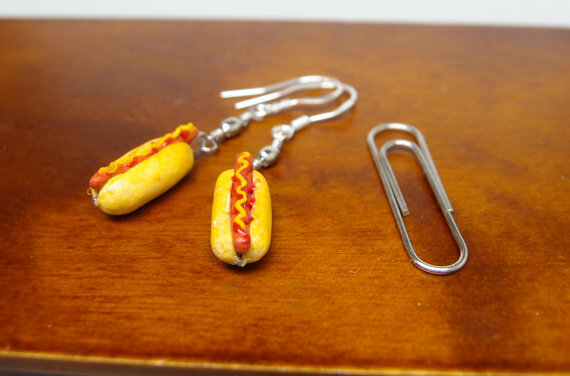 Lastly, two hot dogs with tomato sauce and ketchup on a sterling silver earring post. Apart from these updates, I have been drafting for my future projects. I will show you my sketches soon!